Kleanthis Vikelidis Stadium, also referred to as Harilaou, opened on 6 November 1951. It was initially called Aris Stadium, but renamed in 2004 after an ex-player of the club. At the same time the stadium received a major upgrade to make it suitable as a training venue for the 2004 Olympics. Kleanthis Vikelidis Stadium is located in the south of the city of Thessaloniki, about 4 kilometres from the city centre and almost 6 kilometres from the main railway station. From the station and city centre (Egnatias Avenue), the stadium can be reached with bus 10 or 11. Take bus 10 in the direction of TS Harilou and get off at stop Gipedo Ari. The bus passes right by the stadium. Buses run at least every 10 minutes. Alternatively, take bus 11 in the direction of TS Pileas and get off at stop Mistakidi (a few blocks from the stadium). Buses run multiple times per hour and can also be taken from the White Tower. The stadium lies a few blocks east of the large Leoforos avenue. Follow Egnatias avenue (in the centre) south-east until it automatically turns into Leoforos avenue. Make a left onto Panteli Chorn just before the avenue turns into a larger highway. 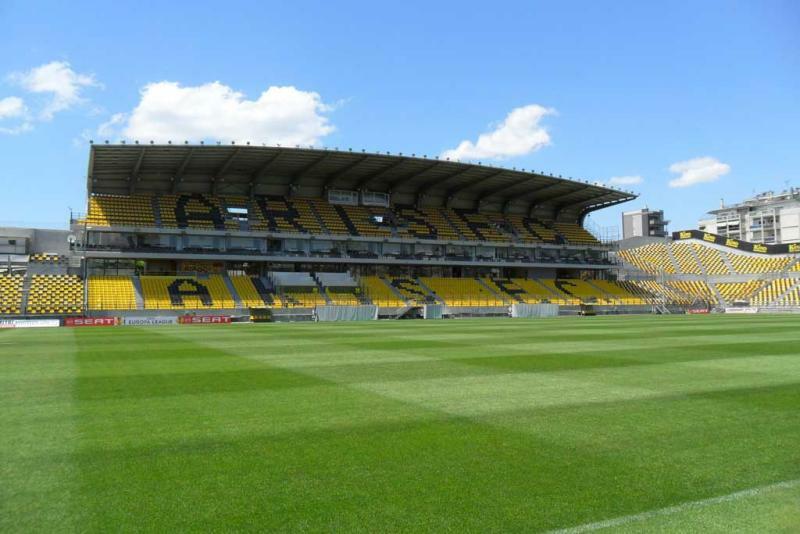 Tickets for Aris games can be bought online, or at the ticket windows of the stadium on the day of the match. Ticket prices typically range from €10.00 for a seat behind the goal to €30.00 for a lower-tier seat at the main stand. 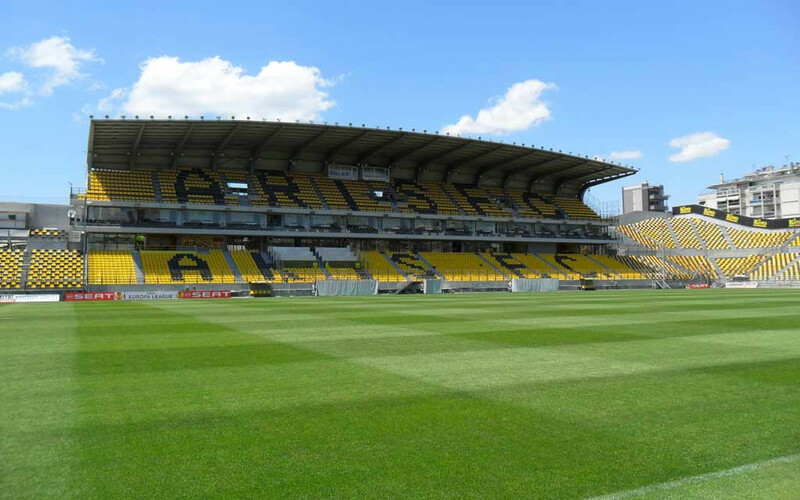 Arisfc.gr – Official website of Aris FC. Visitgreece.gr – Thessaloniki section of the official Greece tourism website. Oasth.gr – Thessaloniki public transport information.